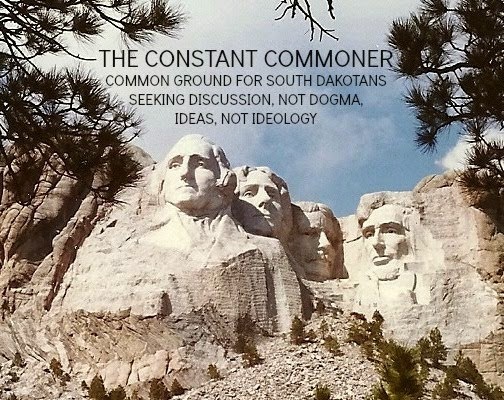 THE CONSTANT COMMONER: Memo To Rick Weiland: If You Have A Campaign, Elizabeth Warren Didn't Build It. This is what I get when trying to write and run the business I didn't build. I smell chickens and eggs on the rhetorical stove! I'm not so down on the comment. I believe there is a teachable moment here on the social contract. Now before we get too excited, let's remember that the association is being made by ABC News, by a national reporter trying to impose a national-audience template on a state race about which that reporter probably doesn't know any more than what she reads on the Internet. But if Weiland is promoting the association, then I hope Weiland brings Warren here to help teach South Dakotans about the social contract. Understood, Cory, but if Rick tries to leverage this into an asset I'm pretty sure it'll turn into a liability in this state.